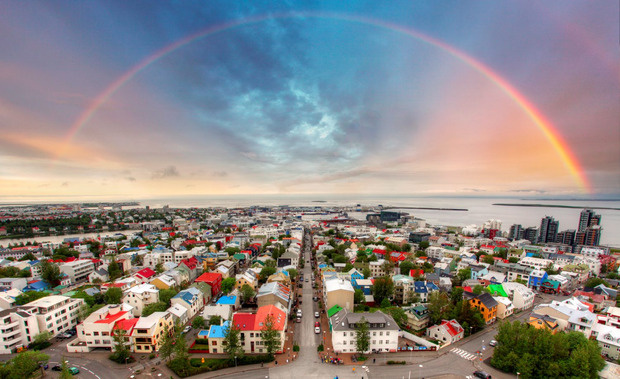 WOW air is offering 40pc off flights from Dublin to Iceland, with lead-in fares from €35.47 in September as we publish (see full details of the Iceland flights sale here). Use the promo code WOWSALE when booking on wowair.ie before midnight tonight. TUI is offering €100 off September holidays with the code SEPT100. There's a minimum spend of €1,000 per booking for the offer, with September deals ranging from seven nights in Gran Canaria (3-star) from €319pp to a week in Majorca (4-star) from €539pp, flights included. 1850 45 35 45; tuiholidays.ie. GoHop.ie has a short break in Rome over the October mid-term, with three nights at the 4-star Camping Village Roma (c. 3km from the Vatican City) from €275pp. The price includes flights from Dublin and accommodation on a room-only basis for travel departing October 30. 01 241-2389; gohop.ie. American Holidays has seven nights at the 3-star Rosen Inn at Pointe Orlando from €519pp next May (2019), including return flights from Dublin based on two adults and two children sharing. Alternative dates are also available (Ref: 1578728). 01 673-3840; americanholidays.com. After a summer which saw Ulysses temporarily taken out of service and delivery of its WB Yeats seriously delayed, Irish Ferries will be hoping for a better autumn. It's encouraging customers to travel by ferry too, with 20pc off all routes to Britain and France until the end of September. Book by Sept 4 on irishferries.com. Have you seen Independent Discounts? The site has a host of special offers and discount codes, with travel brands ranging from Aer Lingus to ClickAndGo.com, Irish Ferries and Expedia.ie. This week, offers include 25pc off online bookings with Europcar. See discountcode.independent.ie/travel-accommodation.